This generation of Internet and technology, looking for templates and forms is just one flick of a finger or rather a press of a button. Name it, you have it—from certificates, to photo album layouts, to presidential letters. There are so many samples readily available on the Internet for download that you are confused which ones to choose from. But there is one form that is less talked about and that is, affidavit. A-F-F-I-D-A-V-I-T! Yes, you are right, it sounds scary if you heard it for the first time. Just by the sound of it, affidavit invokes as if someone is about to go to court. And it really is because an affidavit is not just a business term, it is a legal term as well. It can be as simple as that. And it can be as complicated as changing one’s name from Axle Rose to Axel Ores. You cannot do this in any other documents, not in certificates, not in letters, but you can do this in an affidavit. So what makes affidavit special, what gives affidavit the power to change, and what power does it have over others? There is a saying, “He who does not deny, admits.” It may not be true in the absolute sense, but it is true in legal terms. There is something in affidavit that once something is written on it, it becomes certified, unless proven wrong. And that makes it powerful. If someone says, “This lot is my property,” and there is no one to challenge the claim, it means the lot is his or the lot becomes his. That is just not possible with any ordinary letter. An ordinary letter does not have that much evoking power. If someone makes an affidavit saying, “She is my wife,” then a woman will become someone’s wife. And if someone claims that he is working in a company called XYZ, then immediately, he, after the affidavit has been notarized, is working in that company. Affidavit of correction. There are cases when you need to make changes in a title, or even a name. But you do not simply do that like you are changing your daily clothes. Changing a name, even just a single letter, requires a tedious process. And getting an affidavit is just the beginning of it. In many ways, an affidavit of correction is very similar to an affidavit of change of name. Affidavit of change of name. It is much like an affidavit of correction because if you make a correction, you are also changing its name. Some countries may interchange the terms between these two. The change of name does not only apply to names, it can be also used to change titles, lots, car names, product names. The difference between affidavit of change of name and affidavit of correction is that in the former, one can use it for simply changing a name without the necessary need of a correction. Do you want to change your name from Jan to Jane? Sure, use an affidavit of change of name. But if you think the name Jan is a miseducated or the wrong spelling version of John, then you may use an affidavit of correction. Does it really matter? It does not. But that is just the legal way of doing it. Affidavit of residence. 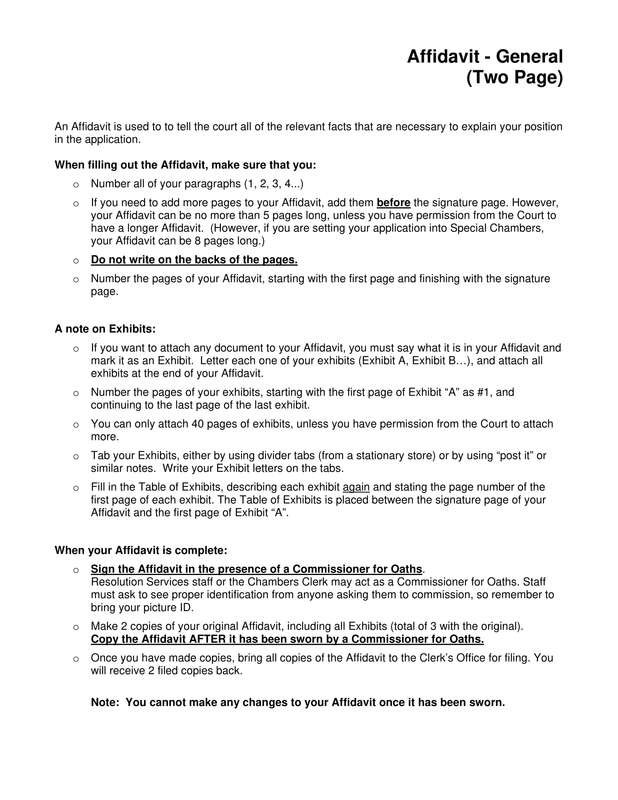 This is an affidavit that shows the affiant’s oath where he is residing or living. It is important when someone wants to apply for a loan or something. Affidavit of salary. Another requirement for someone planning for a loan, house or car loan, or any other loan is the affidavit of salary. Here, a statement about how much he is earning is included in the details. Showing the bank how much you are earning will hasten your loan application. Affidavit of employment. This can be another name for affidavit of salary, except that it may not include how much one is earning. Affidavit of support. 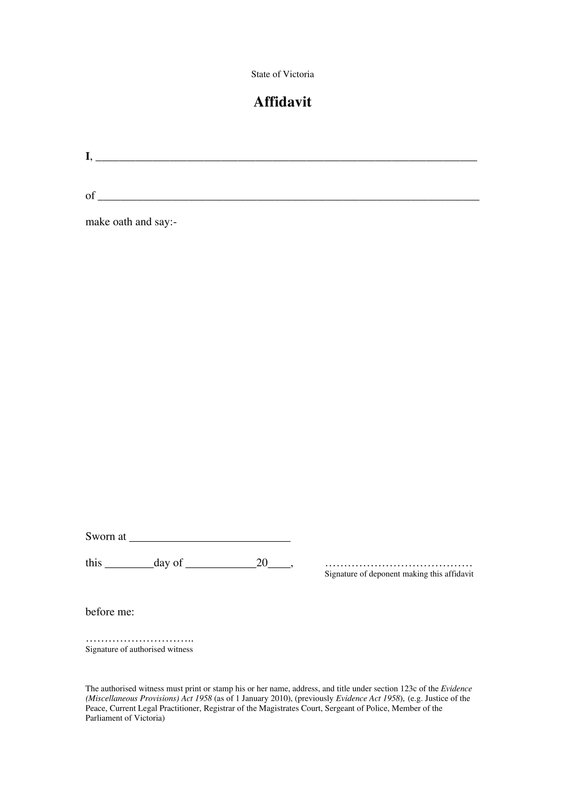 This is an affidavit showing that someone—the sponsor—is able to support a beneficiary. This happens when someone from another country is looking for someone to support him or her, the sponsor may need such affidavit. Affidavit of loss. There are cases when an item is lost, such as an ID card. What you need to do is get an affidavit of loss so the government agency or any other institution may replace you with one. Otherwise, if you cannot show them an affidavit, you would have to wrestle convincing them that you really lost your ID card. These are just some of the many affidavits among many others. These are the common ones, but they may sound otherworldly to you because affidavits are legal documents, meaning, they belong to the world of the lawyers, judge, trial court. But having said that, you now have a general grasp of what an affidavit is. It is a document, which means it is typewritten on paper as opposed to verbal or oral. It is sworn, that is, the statements on the paper were written on behalf of a witness. The making of the document, as prepared by the affiant, should be officiated by a barrister, or a solicitor; notarized by a lawyer. 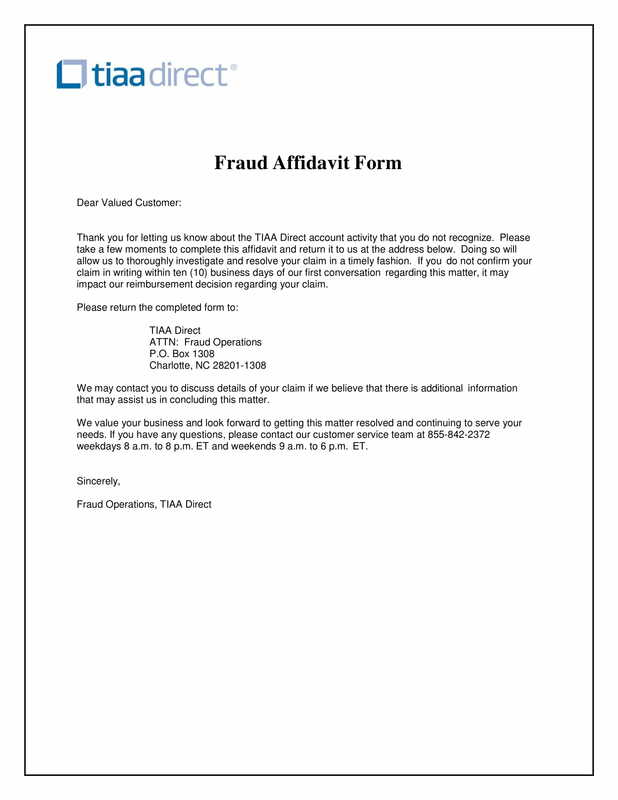 There are many downloadable affidavit forms found online on the net. They will give you idea on how to make one. Some of them are samples, and are not editable. If you are looking for one that you can use immediately, look for one that is blank. 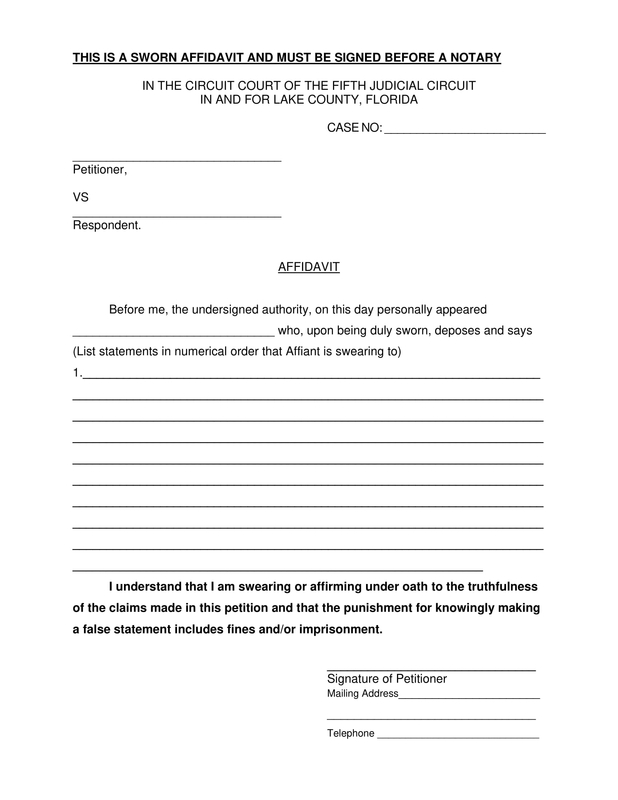 What is a blank affidavit form? 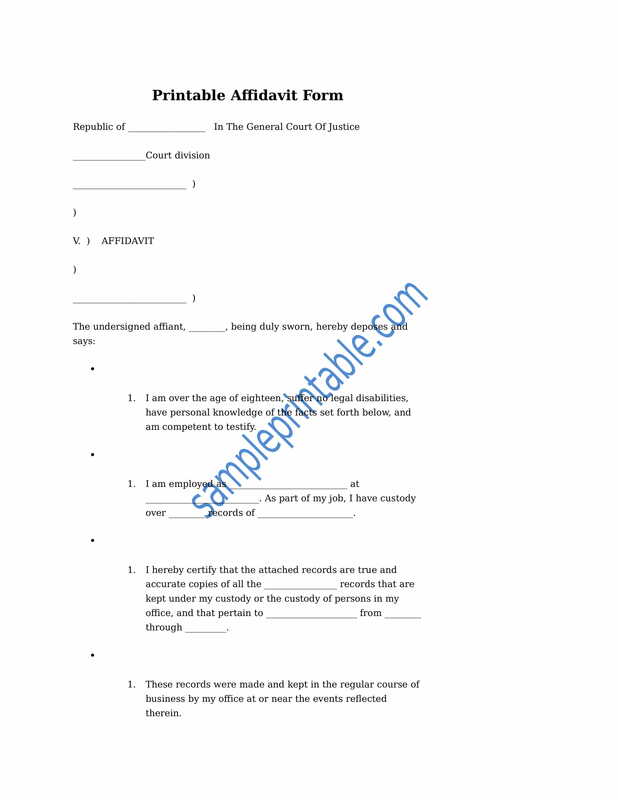 A blank affidavit form is a ready-made affidavit except that it has some space left for the affiant to fill in the needed information, such as names, address, dates, title of the case, and all involved in the affidavit. 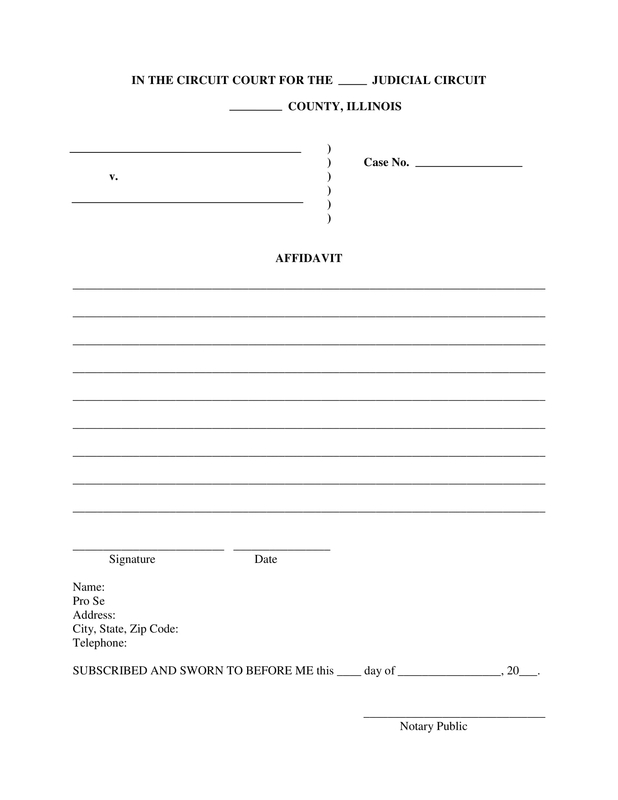 Using a blank affidavit form has many advantages. One is you are confident the format will be acceptable. 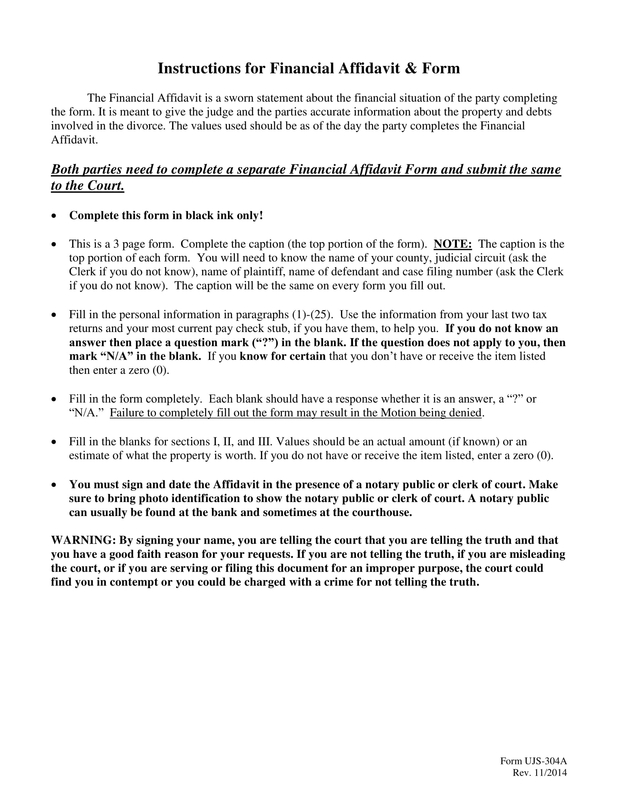 If you make your own affidavit, you may be able to provide the needed information, but you may miss in getting the correct or acceptable format. Remember, this is a legal document, which means you have to subscribe to its accepted practice. Another advantage of using a pre-made affidavit form is the saving of time. If you have to write an affidavit from scratch, and let us say you know how to do it correctly, you may have to consume a little of your time thinking, writing, editing. Whereas with a template, you just need to fill in the blank with details. If there is anything quicker than that, then what is? And lastly, professionalism. 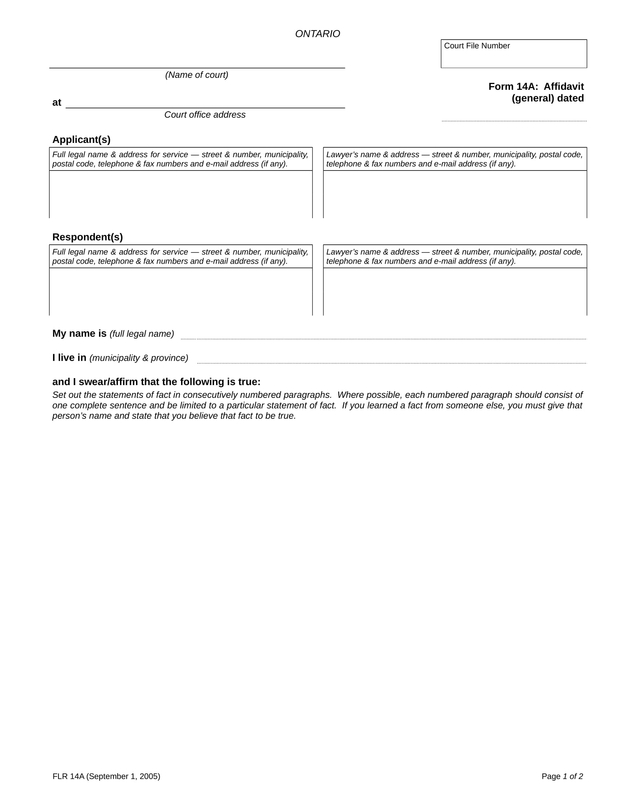 Many of the affidavit forms online look professional. That is, if you can find the right ones. You can write your affidavit properly, correctly. But it may not look as professional as the ones online because doing it is just not your thing. One should remember that an affidavit is a legal document. The affiant makes a written sworn statement before someone. If one makes a false statement about something, he or she may be liable of something for falsifying the truth. It is important that everything that is written is carefully thought out, minimizing anything that is unnecessary. One can be objective in making his statements. This is why a pre-made affidavit is so important, it can guide the one writing or preparing it. It limits one from overly doing it. Although, one needs to be careful in putting up the contents for the affidavit, it should also be noted that if there are too many details missing, it may weaken the sincerity of the affiant. The keywords are sincerity and honesty. Just state what needs to be stated. When you are lost in the process of making the affidavit, a lawyer is your best friend. Some terms can be too technical, and that is where they come in. 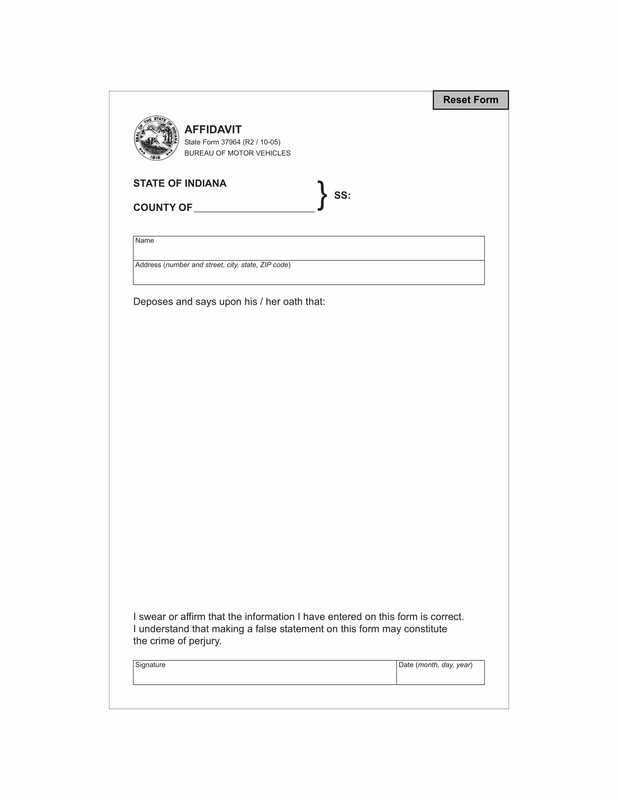 Blank affidavit form is the fastest way to make an affidavit. The wording is already set up, the format is standard, and everything looks professional. Just choose the kind of affidavit you are looking for because there is not just one, but many—affidavit of death, affidavit of salary verification, affidavit of income, affidavit of relationship, affidavit of support, affidavit of employment, affidavit of inheritance, affidavit of small estate, affidavit of correction, affidavit of change of name, and many many others, depending on which country you are coming from. But aside from the fact that there are many kinds of affidavit, there can also be many designs and styles in the kind of affidavit you are choosing. 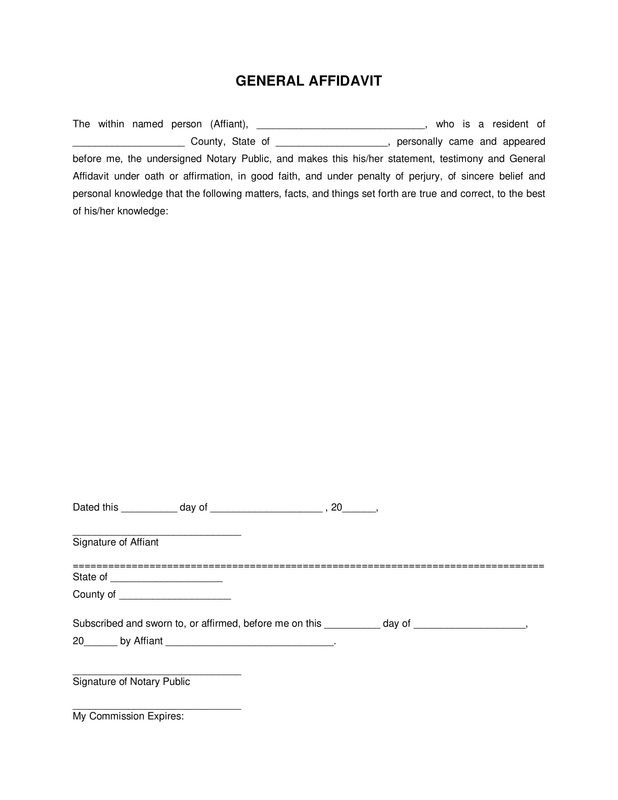 So there can be as many blank affidavit form of change of name as there are many kinds of affidavit. You choose your own style.